2018 release from the man often referred to as the prince of the blues. 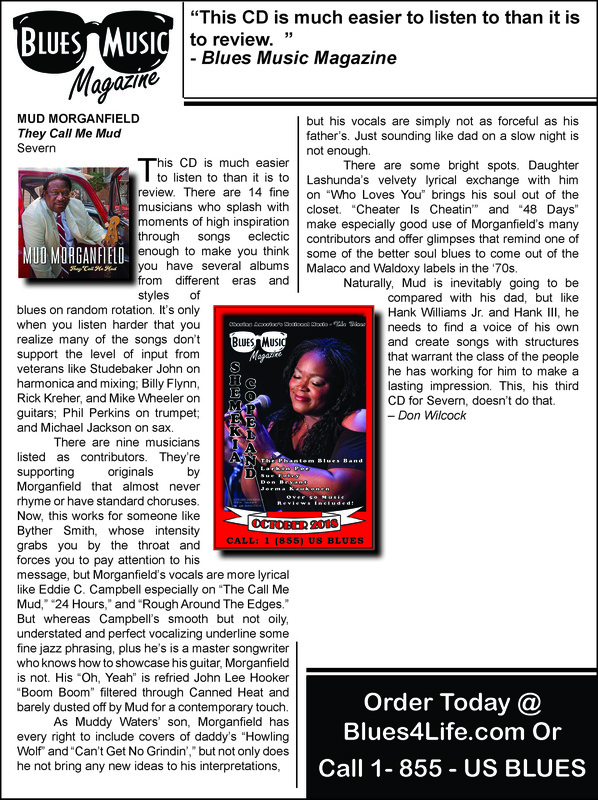 Mud Morganfield is the eldest son of Muddy Waters. Despite growing up surrounded by music, Morganfield did not consider becoming a professional musician until after his father's death in 1983. At that time, Morganfield was driving trucks for a living, but the strain was wearing on him. He suggested that a recurring dream of Muddy Waters performing on stage helped prompt him to begin playing the blues professionally.